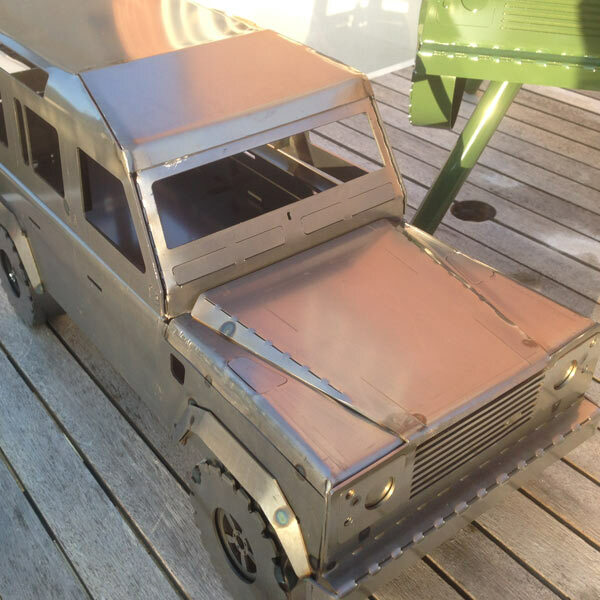 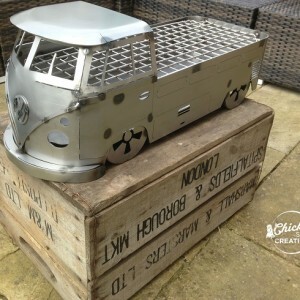 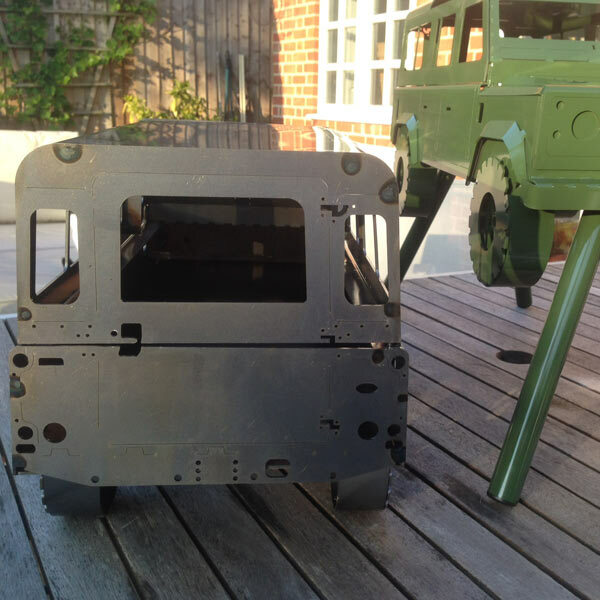 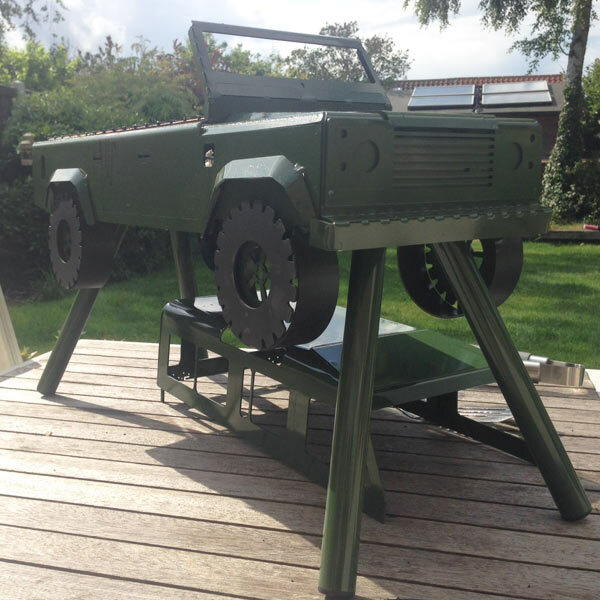 The Landycue is a functional portable barbecue in the design of the popular classic Land Rover. 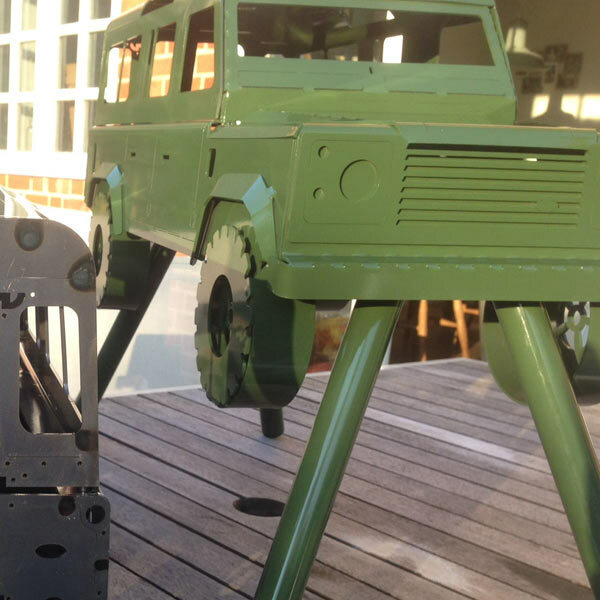 Supplied with legs to raise it off the floor. 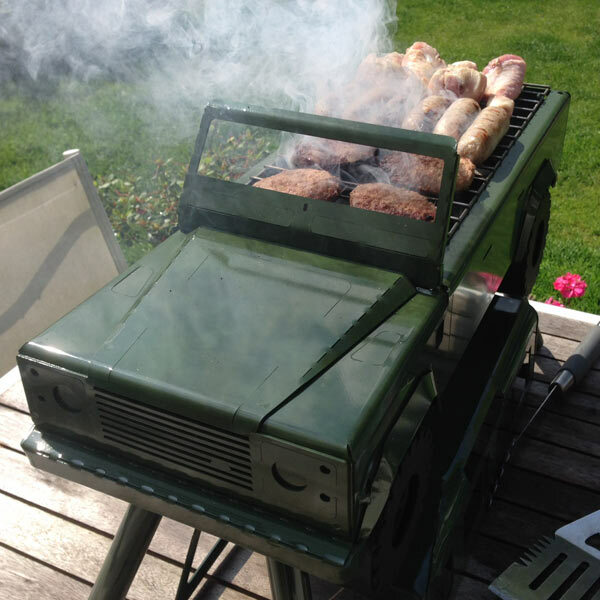 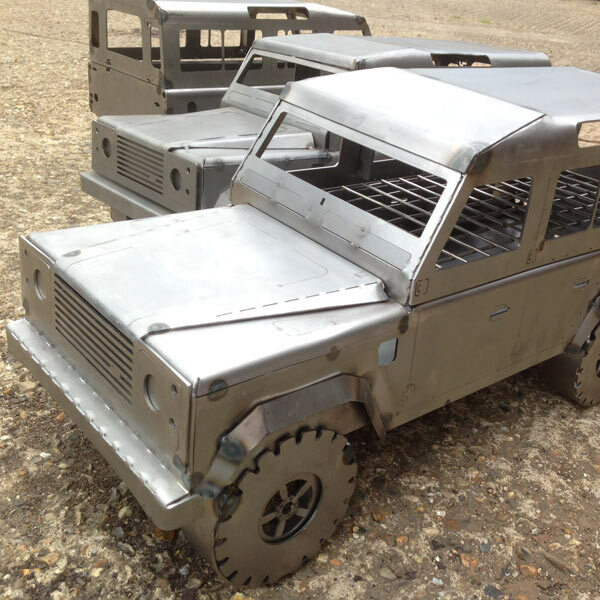 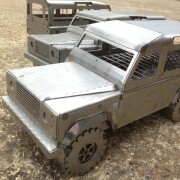 The Landycue is a functional portable barbecue in the design of the popular classic Land Rover Defender. Supplied with legs to raise it off the floor. 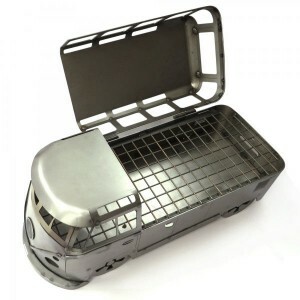 It has a removeable ash pan. 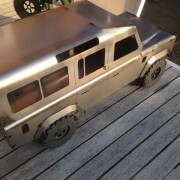 Mostly made out of 2mm thick mild steel. 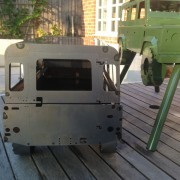 Stove enamel Green will give a reasonable level of protection against rust, the metal will still colour gradually with heat, Black is a heat proof paint and the colour will not change significantly over time, Bare metal will go rusty very quickly, if you want the “rat” look or to paint yourself.